You’re done developing your app, you submitted it to Apple or Google, and you’re super excited about what’s coming next. You know for sure that you’ve built the next big thing that everyone is going to adore. You’re just inches away from success, right? WRONG! Unless your app has been developed by Chuck Norris, the first two or three app versions will be full of bugs and users have zero tolerance for buggy apps! 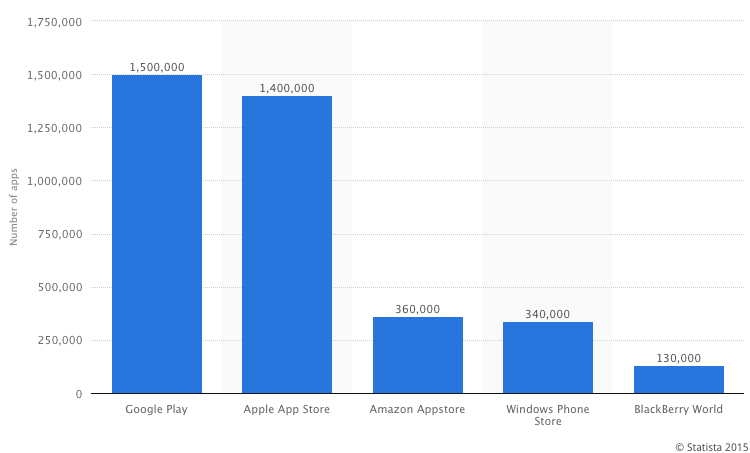 With over 1.5 million on Google Play and 1.4 million in on App Store, the competition is tougher than ever and almost 85% of downloaded apps are used only once. 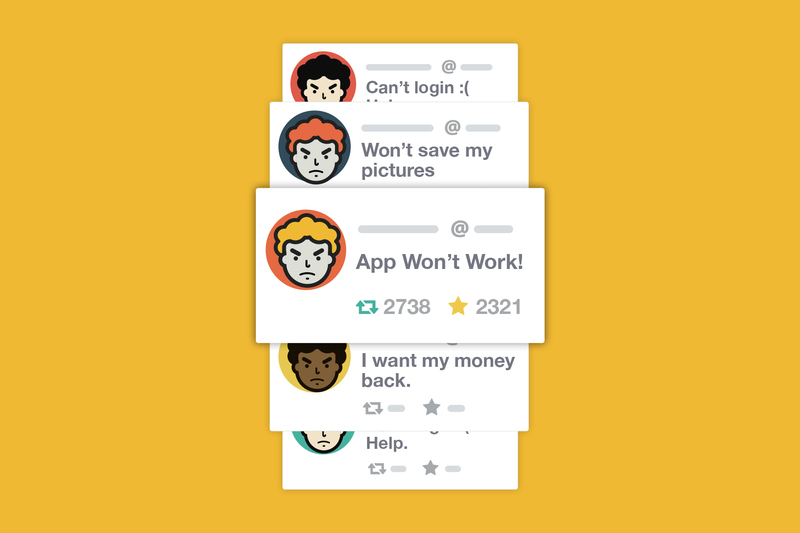 Basically, users will one-star your app and delete it before you even know it. It’s pretty ironic that developers build apps for users yet they don’t provide them with a decent way to share their feedback about these apps. Regardless if it’s v1.0 or v23.8.1, hearing what your users have to say about your app is crucial whether it’s a bug you need to fix, a feature you need to add, or a user experience issue you need to solve. 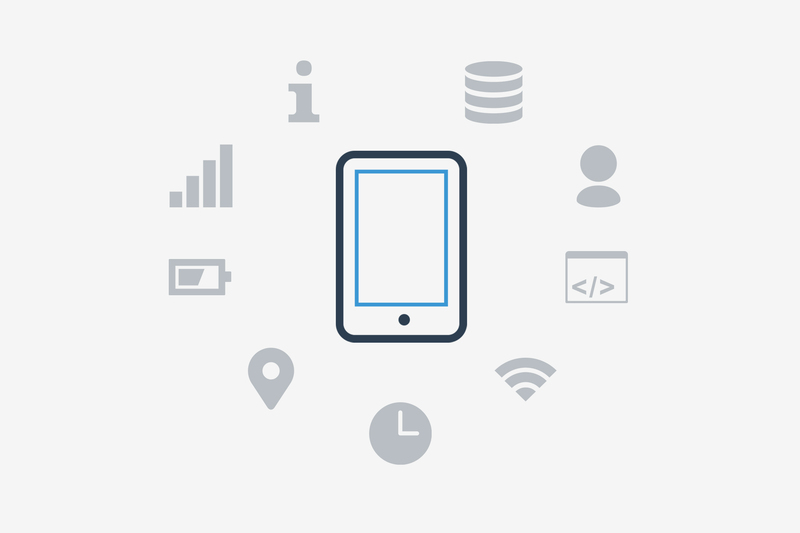 Your goal, as a developer, is to deliver a perfect app with unmatched user experience. In-app feedback will allow you to provide the experience you aspire to, uninterrupted, by allowing users to reach you from within the app. They’ll have a direct channel to get in touch and tell you about their experiences, both good and bad. Here’s why you need to start using in-app feedback. Users have little patience when it comes to buggy apps. Around 79% of your app users will only re-try it once or twice before leaving for good, and before doing that, they’ll head over to the app stores to spoil your party. You’ll be left with only 21% of your users and with one-star reviews warning everyone to stay away from your app. To avoid this recipe for disaster, having in-app feedback will drive all of the negative traffic towards the channels you exclusively see and control. You’ll be able to deal with bugs and negative feedback so that you’re left with just five-star reviews. 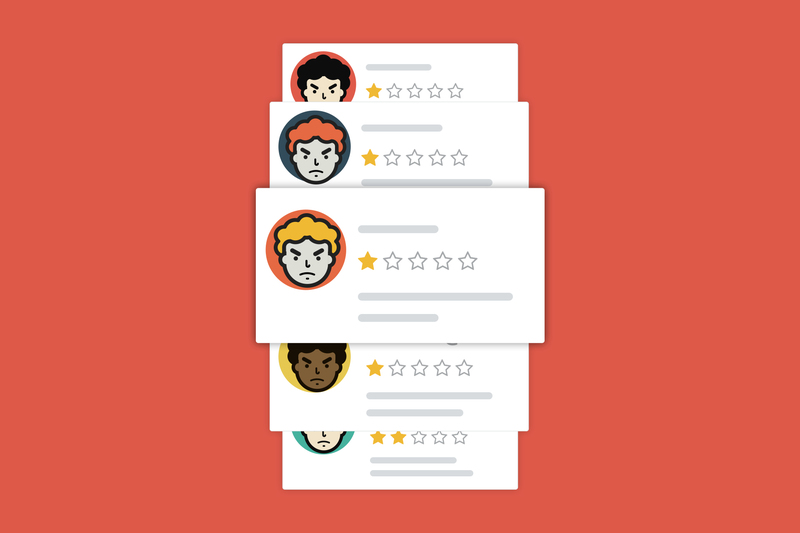 Here at Instabug, we found out that using in-app feedback reduces negative reviews by up to 80% on the app stores, leading to more good reviews, more downloads, and more users that love your app. When it comes to mobile apps, users are very demanding. Giving off a killer first impression is a deal maker or breaker between you and your potential users. Downloading an app is not something a user is willing to do if they don’t see a reason for using it. You need to show them that your app is supported and loved by other users, which means you need great app reviews. In-app feedback allows you to hear the problems that prevent you from getting higher retention rates, monitor feedback, and display great feedback that encourages others to press the download button and reach higher ranks in the app stores. Showing that you care about your users will definitely make them appreciate you, which is a great start for building a meaningful relationship with them. The best route to your users’ hearts is to hear them out, take their feedback seriously, and reply back. Psychologically, they will get attached to your app as they value your efforts and the fact that you went the extra mile to hear them out. Of course, you can get a sense of what users like in your app when they use it in front of you. But if you really want to know your users in depth, you need to dig deeper. By taking the relationship further, you’ll be amazed by the things you didn’t realize were important to your app’s growth and the ideas your users have to make your app even more lovable. Developing a mobile app has become relatively easy in the past couple of years and barriers to entry have almost decreased to extinction, but as they say “easy come, easy go”! One study showed that on average, only 14% of users re-open the app a day after downloading it. This means that one in seven becomes your actual user. How can you stop this? How can you reduce this stressing statistic? Acting fast is crucial to ensure the survival of your users. In that sense, you need to onboard your users very quickly and answer their questions inside the app. Don’t ever let users out of your app to ask you questions on Twitter or go to your website for FAQs. 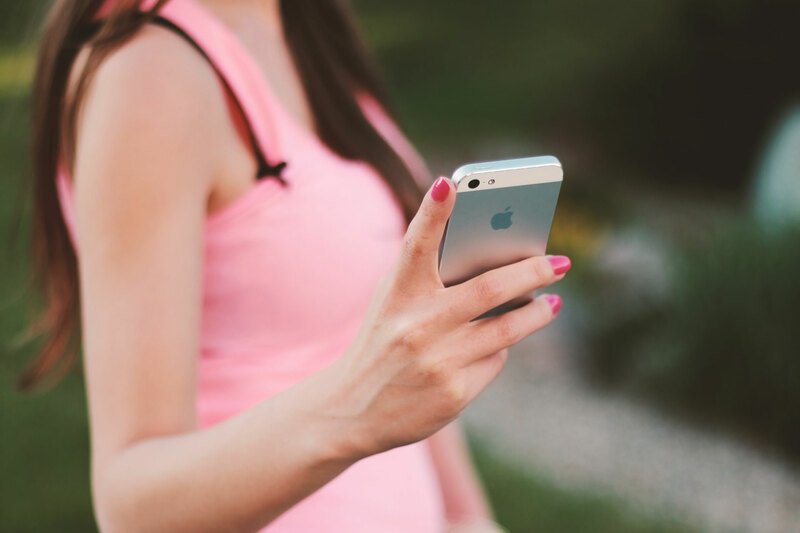 Having a two-way conversation will grant you immediate access to your users with instantaneous replies, which is a luxury you don’t have in app stores and public reviews. 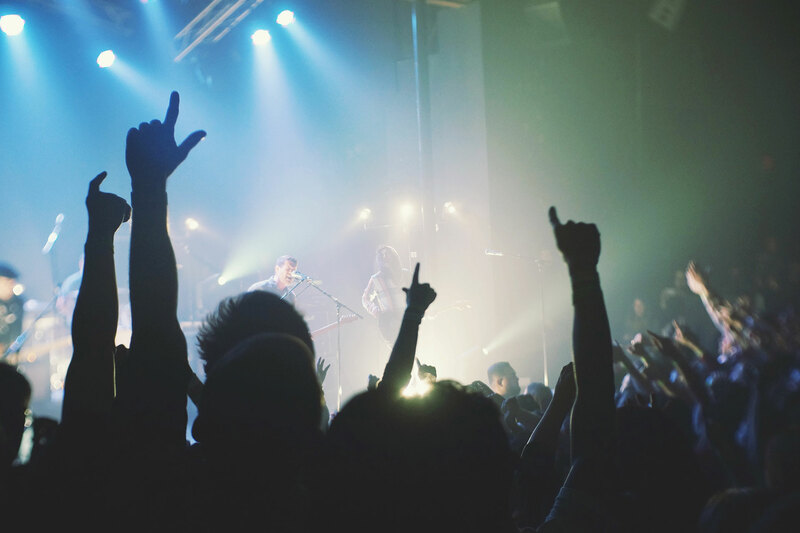 You will be able to know what makes the users happy and how to engage them with your app. At the end of the day, you don’t want many downloads that fade away after the first few days. Today’s users expect to be able to share their insights about the apps they are using publicly, with noticeable eagerness to participate, vent their frustrations, and share their complaints through app stores or Twitter. It’s insane how a little negative comment could spiral to threaten the existence of an app if many users agree that the app is poorly performing. Avoiding public negative reviews at all costs, you need to treat your future leads with utmost care. Let them talk directly to you and converse privately with those who need support. Reply back and offer a special incentive to compensate and let them know you actually care. This will remove the public pressure you face when dealing with negative comments that are circulated publicly, as it will also give your users an indication that you actually care about making your app better and your users happy. You do everything to keep your users in your app, so why force them outside when they want to give you feedback? Why force them to write an e-mail, browse through your website FAQs, or tweet the issue? It’s a guarantee that users will slip away if they leave the app as this process interrupts the users’ experience. Let everything be native inside your app! With in-app feedback, sending feedback or reporting bugs or even asking questions will be a piece of cake to your users. The process will be seamless as users will send whatever they want from within your app and then continue enjoying it without having to navigate through different apps and screens. Debugging an issue on a mobile app requires a lot of knowledge from the developer side about the user’s phone, starting from the device and OS version to repro steps and console logs, all of which a normal user will neither have access to nor the know how to acquire. Having an SDK for In-App Feedback can play a huge role in this part. While the user is reporting a bug or sending feedback, you’ll be able to extract all device details and logs that you need to understand what the user means without the need to ask for more info. Knowing how many bugs you have is important, but what matters most is learning how, when, where and in what device type the bugs occurred! Having all these insights monitored will enable you to segment your users based on spotted trends. How valuable is it to know that most of your bugs occurred in San Francisco on N iPhone 6 with iOS 8.1 when using the AT&T network, having an almost empty battery and nearly 70% full memory? How much time would you have to spend to obtain such data if users were reporting bugs through e-mails? 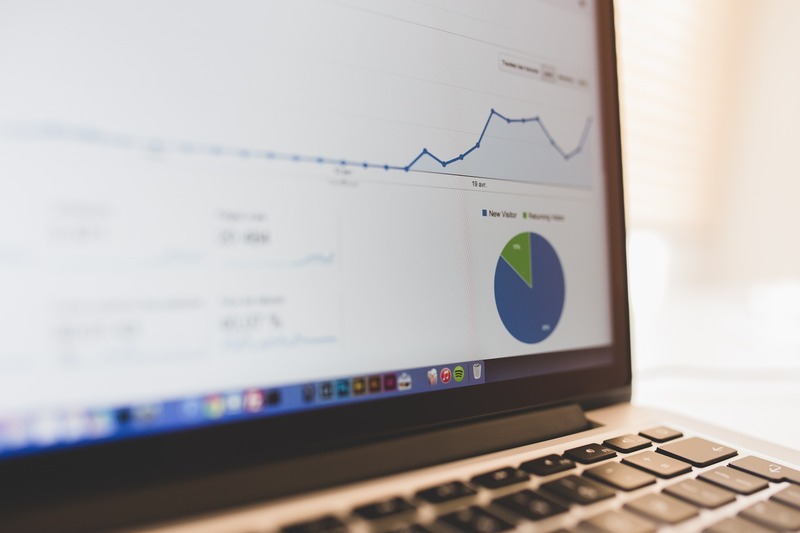 Most in-app feedback providers offer a dashboard for developers to monitor their bugs and spot trends using charts and aggregated statistics to be able to infer and prioritize issues. Essentially, in-app feedback allows your users to report bugs and submit feedback directly from the app itself without the need to leave it to do that. It opens a channel between you and your users, letting them know that you appreciate their feedback and are eager to provide the best experience. If you’re keen on retaining your users and keeping them inside the app when sending feedback (instead of leaving to their app stores or Twitter) or if you want to save time wasted on logging bugs manually into your bug tracker, sign up for Instabug and see for yourself!